New Directions Publishing Corporation, 9780811218894, 134pp. A Bola o classic. The Peruvian poet C sar Vallejo is in the hospital, afflicted with an undiagnosed illness and unable to stop hiccuping. His wife calls on an acquaintance of her friend Madame Reynaud: the mesmerist Pierre Pain. 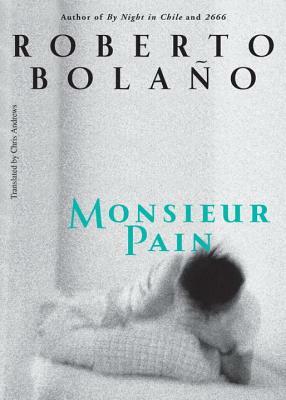 Pain, a timid bachelor, is in love with the widow Reynaud and agrees to help. But two mysterious Spanish men follow him and bribe him not to treat Vallejo. Ravaged by guilt and anxiety, Pain does not intend to abandon his new patient, but his access to the hospital is barred and Madame Reynaud mysteriously leaves Paris. Another practitioner of the occult sciences enters the story (working for Generalissimo Franco, using his mesmeric expertise to interrogate prisoners) -- as do Mme. Curie, tarot cards, an assassination, and nightmares. Meanwhile, a haunted Monsieur Pain wanders the crepuscular, rainy streets of Paris. . . .